With Carla Fox’s 10th “Tools for Transition” workshop entitled “Putting It All Together”, we have reached the end of the series. Now is the time to assemble all that you have learned and experienced into a workable strategy for your spiritual evolution. Carla (Energy Healer and Shaman) will start the teaching segment of the workshop with a review of the all important and essential Inner Child work from the previous workshop followed by teachings and a journey with your Inner Mother. For so many of us who had sporadic or inappropriate mothering as children, this inner aspect needs to be healed and worked with so that we can learn to mother ourselves. This is the key to a deep connection with your Inner Child as well as living a life of self love, self respect and self care. The rest of the workshop will cover a variety of topics including how to connect to and receive guidance from your Inner Child or Higher self, how to hone into and clarify any issue, and which processes to use depending on the circumstances and the issue. This will be your last opportunity during the Q & A segment to get clarity on any topic that was covered in the previous 9 workshops. If possible, it is recommended that you review the previous material before this workshop so that you have a good understanding on what was covered. It is the goal to leave each of you as complete with your tools as possible so that you can move forward in these uncertain times with more expertise and confidence as to where you are headed on your evolutionary path. ​To explore the previous part in this workshop series please visit the store. 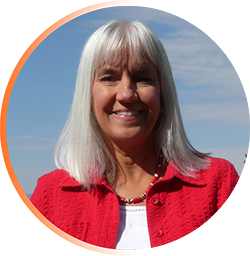 We are deeply honored to have Carla Fox on board offering her amazing transformational work. For those of you desiring to move into a more centered peaceful grounded empowered and non-interfered with space do yourself the favor of attending her upcoming workshop. She will be offering experiential practices that anyone can do on their own to further their personal healing and spiritual evolution. We cannot recommend Carla’s transformational tools enough. Each workshop will consist of a 2 hour segment that starts with teaching on a specific useful topic. Then each participant will have the direct experience of the topic of the workshop through several guided energy movement exercises or journeys. These tools have never been shared On-line before. You will then have the opportunity to get your questions answered and connect after the experiential segments. Receive the audio replay even if you can't attend live. *​Replays also available for purchase after the event.